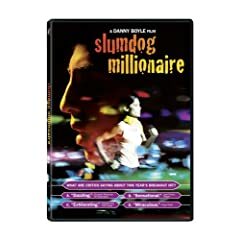 Slumdog Millionaire won best picture at the Oscars, and is available for home viewing tomorrow. Tell No One, an adaptation of a Harlan Coben novel, was another critically well-received film last year, and one I am looking forward to watching. A couple of Criterion Collection releases are out this week, Andrzej Wajda's French Revolution film Danton and Roberto Rossellini's Il Generale Della Rovere. The IT Crowd is the highlight of the television releases. I have only seen a couple of episodes of this British comedy, but it's essential comedy relief for tech folks everywhere. Also in stores this week is the first season of In Plain Sight. A couple of music DVDs stand out this week. Pansy Division: Life in a Gay Rock Band has received critical acclaim and chronicles the band's 18 years. Leonard Cohen: Live In London captures a 2008 performance by the legendary singer-songwriter-poet.